6-10 February 2019 @ Samoeng District, Chiang Mai. 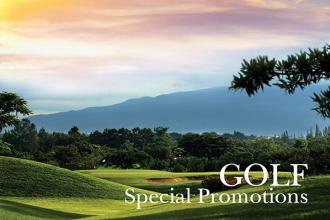 From 6 to 10 February, enjoy the Strawberry Festival in Chiang Mai. 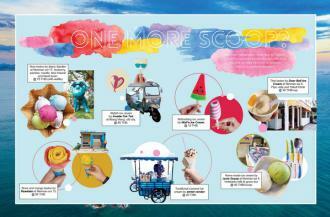 Eventgoers can participate in many activities such as strawberry contest, floral floats and beauty contest. Samoeng district is known as one of Thailand’s top strawberry producers, they also present many activities to join. 7-16 February, 2019 @ Chiang Dao Farm Stay, Chiang Dao. 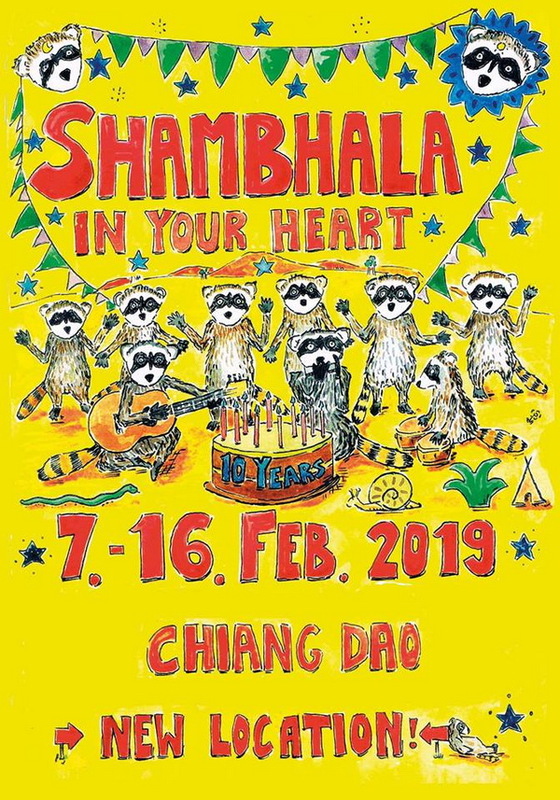 This year is 10th anniversary of Shambhala In Your Heart Festival. 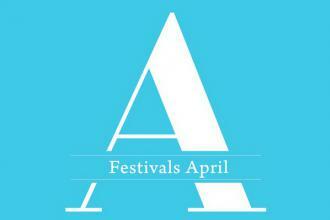 10 days of music, camping, art, yoga workshops, friendship and fun! Celebrate Love, Peace and Music at Shambhala! Note: This year is a new location at Chiang Dao Farm Stay, plus, organizers will have to check passports and record information for immigration. 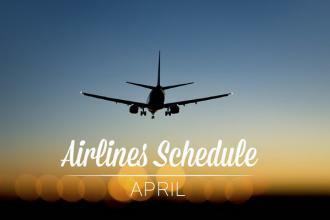 So don’t forget to bring your passport. 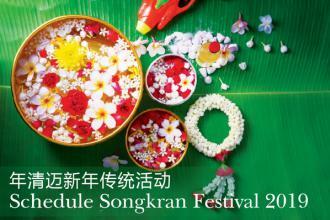 An important Buddhist lunar festival and public holiday, observed nation-wide. 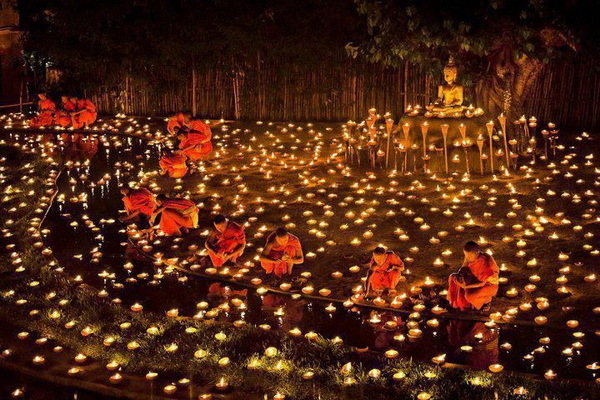 During the full moon evening, Thai people join candle-lit processions around temples, to celebrate the time when the Lord Buddha gave a sermon to 1,250 enlightened devotees. Foreigners visitors are welcome to participate. 13-17 February, 2019 @ Chiang Rai, Singha Park. 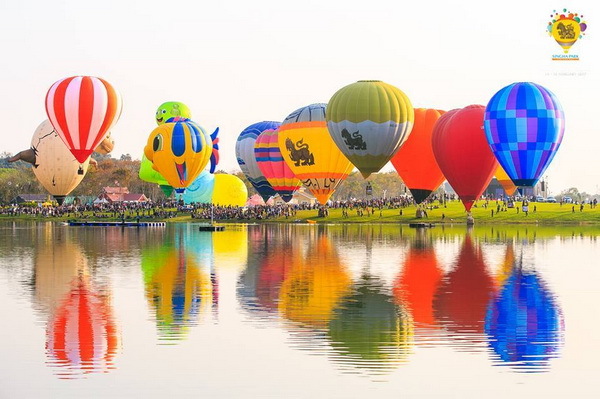 The biggest international balloon festival in ASEAN is back. A spectacular show of hot air balloons in the sky. The event is organized in the large and beautiful Singha Park of Chiang Rai, with food and drink booths from all over the country, many activities, music concert and much more. 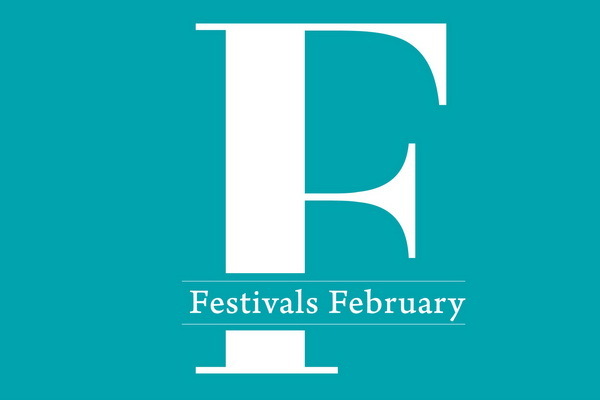 1st-15th February, 2019 @ Anantara Chiang Mai Hotel & Resort. (chareonprathet Road). 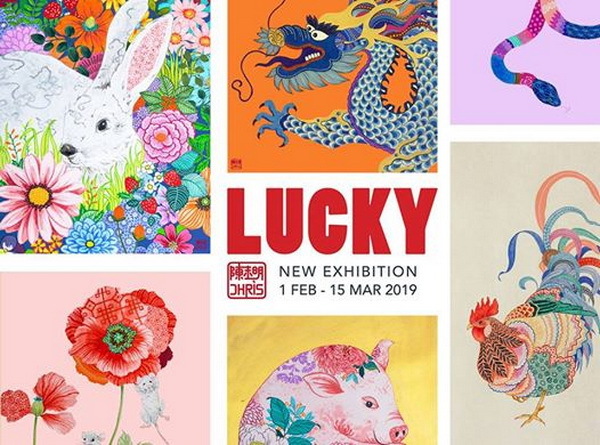 “Lucky” is the latest exhibition by Chris Chun, an australian artist of Chinese heritage. In this exhibition, Chris features the 12 animals of the ChinesemLunar Calendar. Each animal combines traditionalmAsian symbolism with contemporary Western sensibilitiesmto bring good fortune, health and happinessmto their owner. 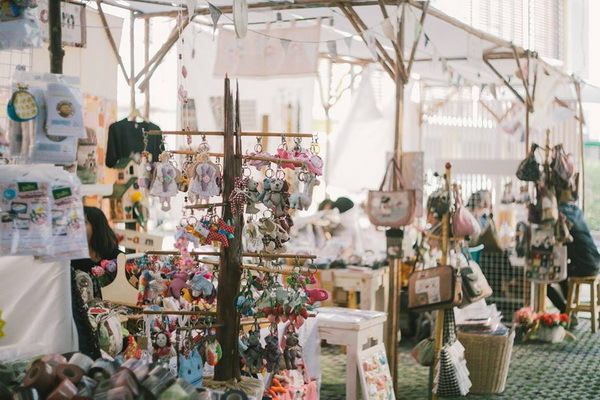 Many stands and workshops organized by young creators of Chiang Mai.Meet sellers, producers and talk business in a friendly atmosphere. Workshop activities and demonstrations will be organized daily.